In the future you will have a companion that is tapped into your stream of consciousness. It will help you remember everything. It will help you search your memory and the collective knowledge of everyone to help you find better answers. It will help you get things done. Fin uses a combination of computer and human intelligence to deliver the beginning of that future now. Interact with Fin like Siri or Alexa. Use voice, text, or photos to ramble and tell Fin your stream of consciousness. 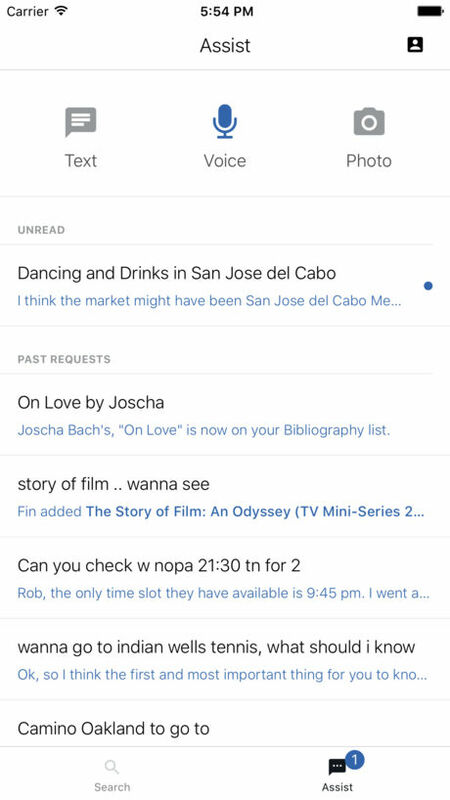 Fin uses a combination of machine and human intelligence to capture and organize everything, it gives you the ability to search across your memory & Fin’s collective knowledge. Remember Everything & Organize Your Thoughts. At its core, Fin is a personal memory tool. It is the fastest way to capture things to do, people to meet, places to go to, things to try, and thoughts to remember. 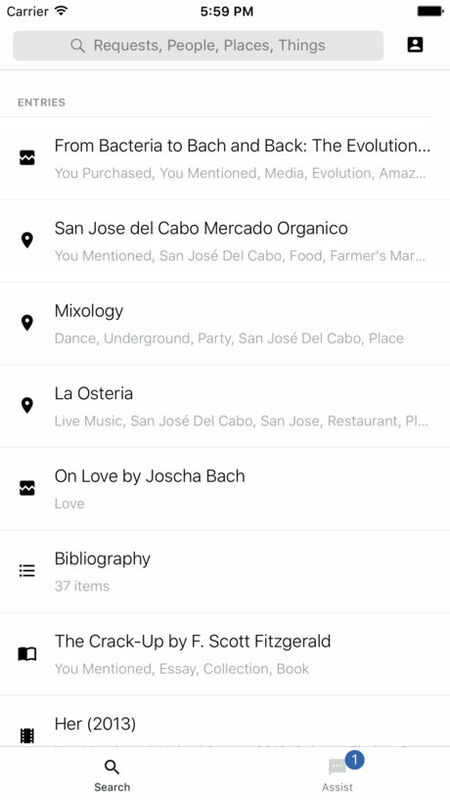 Fin builds an index of all of your knowledge and helps you recall the right information at the right time through search and reminders. Fin can send emails for you, make calls, book reservations, update your calendar, and do research. It can take care of recurring tasks. Like a great assistant, Fin can do more for you as it learns more about you. Never ask a friend for an email or phone number again. You can search our contacts graph by name, company, or domain. Text, call, or email anyone. Ask for introductions from mutual connections. See collaborative notes about people. Fin Contacts functions as a personal CRM.